Alliance Removals is a Brighton based family business offering a full range of professional removals and storage services for customers across the UK and Europe. We understand that no two moves are the same, by choosing Alliance Removals as your moving and storage company you can be sure that everything will go according to plan. Get in touch with us using the form below for a free quote on your home or business move. Or use our small moves form for an instant price estimate on a small removal. We also provide a range of storage options in our secure, purpose built warehouse in Storrington, West Sussex. The warehouse is within a secure yard together with a red-care alarm system and CCTV. For non-urgent smaller loads throughout UK and Europe, where timing is not critical, we offer part load removals where we consolidate smaller loads, ideally suited if you have a few items to move. Our small moves service provides a cost effective alternative to a dedicated removal. All moves are carried out by our own friendly, uniformed staff in specialist removals vehicles. We also have a range of packing options to suit your moving and storage needs, whether you prefer to pack yourself (we will supply all packing materials) or sit back and let the professionals do the work. 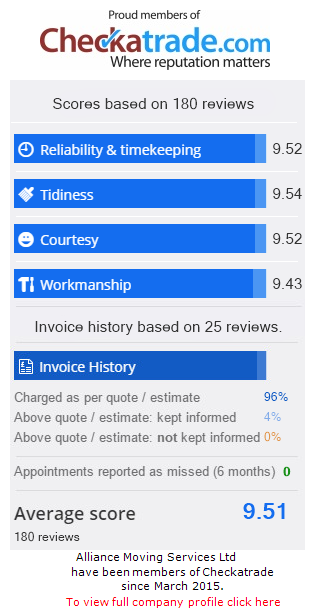 For a first class service and to arrange a no-obligation quotation contact us today on 01273 414491 or 01903 743909 or complete the removals quote form.